Serving some of the most deprived children in Romford in Greater London, Broadford Primary School had no time to waste in raising their standards. They’d been in special measures since 2010 and desperately needed help to move themselves forward. 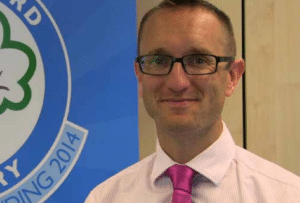 A year on from the inspection, Headteacher Malcolm Drakes joined the team and set about making some definitive changes that would take the school and its teachers on their incredible journey to outstanding. 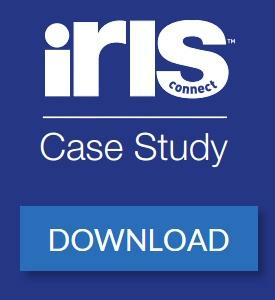 It seemed a simple solution to our problems and made sense for us to use, so we took on IRIS Connect and haven’t looked back. Malcolm was already interested in the idea of using video for professional development. 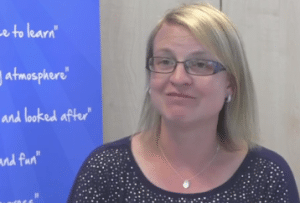 As the staff began using IRIS Connect they realised that the simple principle of watching themselves teach could make a big difference and move their practice forward in a short space of time. They gained confidence in their skills and capabilities, began taking charge of their professional development and realised the powerful potential of sharing amongst themselves. Now every member of staff has a weekly 15 minute coaching session without timetables getting in the way. They can share their videos; feedback can be successfully taken on board because the videos provide an accurate point of discussion; observation nerves have been conquered bringing out the best in teachers’ performances; teachers can watch themselves in the classroom and pick up the small tweaks they need to make in order for their practice to improve. They’ve begun using all of the areas for learning in their classrooms because teachers have been able to see what wasn’t working and change it. Those who were disengaged are engaged again because teachers have been able to make sure no one falls off their radar. Lastly, disruptive behaviour has been reduced because the teachers are able to go away, take the time to watch lessons back and really understand the barriers to learning. The culture of the school now is one where teachers are clear of the expectations and that they need to support one another to be successful. Good ideas are shared, praise given and because the teaching is typically outstanding, teachers know they have plenty of places to go for good advice. The staff believe that outstanding is not the end of the journey because you should never stop working at being better. They have plans to collaborate with another school in their cluster who also use IRIS Connect, aiming to grow a library of videos that they can share and use to build a bridge between the two communities. From the moment I took over the headship it was absolutely imperative that we moved the school to outstanding as quickly as possible, because we serve a cohort of children who are some of the most deprived in Havering and the whole of greater London, so we didn’t have time to wait. I share my role with another teacher, so I teach at the beginning of the week and she does the other half. Before we had IRIS Connect I didn’t know how she was teaching something. Now we swap videos of our lessons to make sure that our teaching is consistent and that every child gets the same experiences, whichever one of us is leading the class. It’s been incredibly helpful.